Marghera is one of the most important industrial areas in the east of northern Italy. Porto Marghera is the very industrial area: in the last years the economic crisis has jeopardized many employees, but now many business plans and restructuring should give new emphasis to the area and working. Hotels in Marghera are mainly intended for a business clientele, but in some periods of the year they support the influx of tourists who can not find accommodation in Mestre and Venice. Select travel dates and find all available hotels in Marghera, check out guests reviews and locate properties on Marghera city maps, book your favourite accommodation with no pre-payment. All rates are in Euros and inclusive of all taxes. Hotel Ca' Nova is located in Marghera, close to Mestre and Venice, reachable in a short journey by a public bus. The hotel, located close to the A57 motorway, provides fast and comfortable travel. 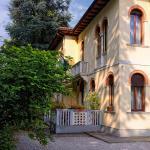 Casa Villa Gardenia is located in Marghera, just a short drive from Venice, not far from the ring road of Mestre. The property features a large green garden, where you can spend pleasant moments with friends. Hotel Villa Adele is situated in a quiet area of ​​Marghera, just a short distance from major historical sights of Venice. 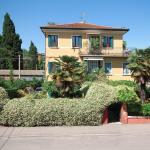 Only 5 minutes from Piazzale Roma, this hotel is located about 1 km from the highway.